On Monday April 22nd, the world will be celebrating Earth Day. 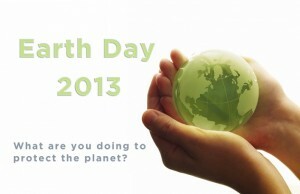 This is an annual day on which people try to do something to help the wonderful planet that we live on. Too often do we take our rivers, lakes, oceans, forest and all the creatures that live within them for granted. It is these things that make our life on Earth worth it and we should take greater care to preserve them for all the future generations to enjoy. So on Earth Day why not do a small act of kindness to better the health of the world that we live in. Even small things like picking up some litter can make a big difference and show your appreciation. This Earth Day, celebrate our planet with an organic American Apparel t-shirt from a Redbubble artist. Redbubble is an online marketplace where 250,000 global, independent artists are selling their designs printed on a range of cool products like t-shirts, hoodies, iPhone and iPad cases. Choose from a collection of tree-hugging, planet-friendly designs from around the globe.